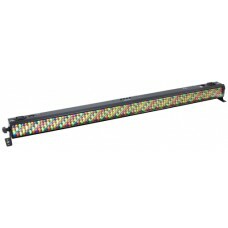 The ADJ Mega Bar RGBA is a compact 1-Meter (42-inch) Linear Fixture that offers the flexibility of RGBA (Red, Green, Blue & Amber) color mixing for stage or wall washing. 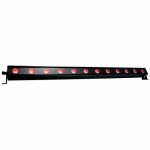 The Mega Bar RGBA may be operated by the optional ADJ RFC wireless remote to control what would normally require a DMX controller or adjustments made by hand on the rear panel. 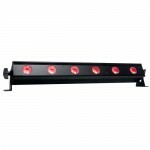 Aim the wireless remote at the unit and control features such as: Black Out, built-in programs, flash, DMX addressing and RGB color change. 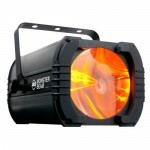 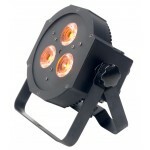 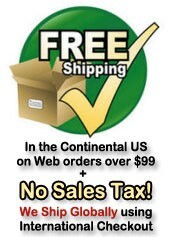 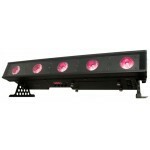 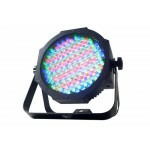 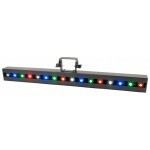 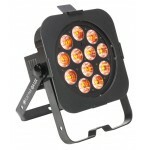 User may also control this fixture with a DMX Controller or in Sound Active mode. 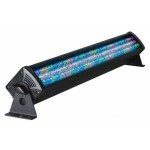 This fixture uses LEDs rated at 50,000 hours with a maximum power draw of 32W. 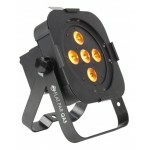 DMX addressing may also be changed by the unit’s 4-button LED display. 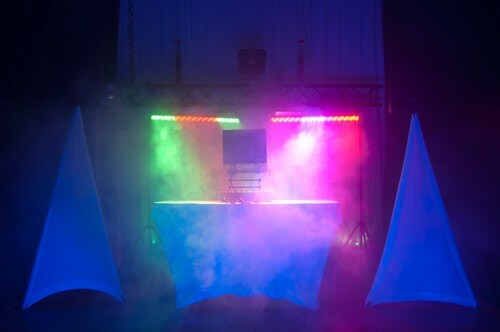 There is no duty cycle on the Megabar RGBA, plus users can “daisy-chain” the power from one unit to the next with the built-in IEC power Ins/Outs. 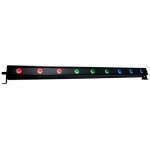 • Variable RGBA color mixing offers a seemingly unlimited color palette - Great for Stage or Wall Washing!